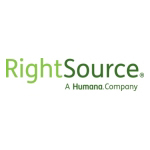 "The opening of the RightSource call center and support operation in Irving is not only a commitment to provide outstanding mail-order prescription delivery to our customers but also a credit to the abundant, well-trained labor pool and excellent business climate offered in the Metroplex"
IRVING, Texas--(BUSINESS WIRE)--Officials with Humana Inc. (NYSE: HUM) and Humana Pharmacy Solutions, Inc. celebrated the opening today of a state-of-the-art RightSource® mail-order pharmacy call center and support operation in Irving. Located at 2001 W. John Carpenter Freeway, the facility opened with 190 associates and will bring more than 620 jobs to the area over the next three years. Celebratory remarks at a 10:45 a.m. ribbon cutting ceremony were given by Texas State Representative Linda Harper Brown, Irving Mayor Beth Van Duyne, William Fleming, Pharm.D., President of Humana Pharmacy Solutions, and Jo Ann Goin, past Chairwoman of the Greater Irving-Las Colinas Chamber of Commerce. RightSource is Humana’s mail-order pharmacy providing mail delivery to members’ homes. The convenience of mail-order delivery and the lower cost of obtaining drugs by mail order pharmacy have created strong demand for RightSource’s services. Humana RightSource, with similar operations in Arizona and Ohio, serves 1.5 million members and filled nearly 20 million scripts in 2012, making it one of the nation’s largest mail order pharmacies. Humana will build-out all three floors of the building to accommodate its office and work spaces, open meeting spaces, conference rooms, training and huddle rooms, storage areas and communications functions. Positions at the facility include pharmacists, pharmacy technicians, customer service representatives, and data entry clerks. The location of LifeSynch, a wholly-owned, behavioral health subsidiary of Humana with operations in an adjoining office at 2101 W. John Carpenter Freeway, also influenced the decision to locate the facility in Irving, in addition to the business-friendly experience from the Irving Economic Development Partnership, Fleming said. Humana Pharmacy Solutions, Inc. is a subsidiary of Humana Inc.